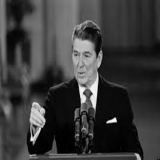 On this day, 32 years ago, in his State of the Union address, US President Ronald Reagan defined some of the key concepts of his foreign policy, establishing the “Reagan Doctrine.” During the early years of the Reagan presidency, Cold War tensions between the Soviet Union and the United States intensified. 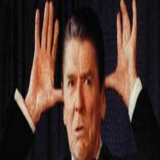 Reagan entered office deeply suspicious of the Soviet Union. 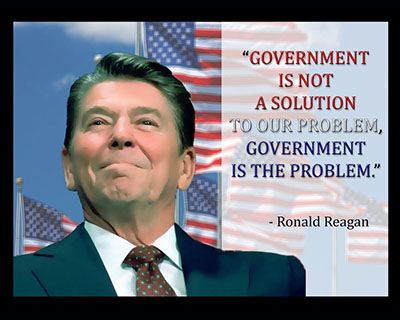 Reagan would order support for all the rebel groups fighting communism anywhere. What was the doctrine about? 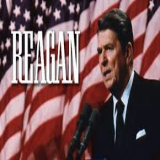 The speech was the first State of the Union address of President Reagan's second term, and his fifth altogether. He stated, "Our progress began not in Washington, DC, but in the hearts of our families, communities, workplaces, and voluntary groups which, together, are unleashing the invincible spirit of one great nation under God." 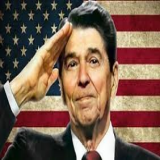 The president proclaimed the Reagan Doctrine and discussed taxes, reducing the federal deficit and the Strategic Defense Initiative, among other things. The speech lasted approximately 40 minutes. For the most part, the doctrines of American foreign policy have sprung largely from a sense, sometimes assumed, of crisis in the world at large. From the early nineteenth until the late twentieth century, whenever presidents saw fit to articulate certain principles of American foreign policy, they did so in an environment of either apparent danger or impending opportunity. 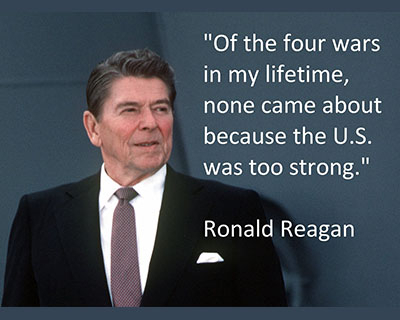 The Reagan Doctrine was no different. Presupposing a world of good and evil, it operated on the assumption that evil, in the form of the USSR, was gaining the upper hand. The doctrine was suggested and even formulated by Reagan’s key advistors. In the end, however, it was Reagan, the ex-Hollywood actor, who sold it to the nation through his mastery of public speaking. Why was the ‘anti-communism’ the centrepiece of the doctrine? 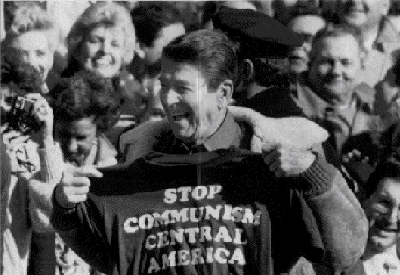 Under the Reagan Doctrine, the United States provided overt and covert aid to anti-communist guerrillas and resistance movements in an effort to "roll back" Soviet-backed communist governments in Africa, Asia, and Latin America. The doctrine was designed to diminish Soviet influence in these regions as part of the administration's overall strategy to end the Cold War. He concluded, “Support for freedom fighters is self-defense.” With these words, the Reagan administration laid the foundation for its program of military assistance to “freedom fighters.” In action, this policy translated into covertly supporting the Contras in their attacks on the leftist Sandinista government in Nicaragua; the Afghan rebels in their fight against the Soviet occupiers; and anticommunist Angolan forces embroiled in that nation’s civil war. 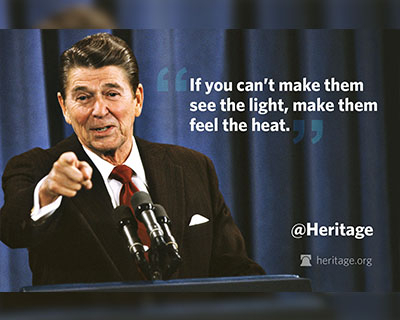 President Reagan continued to defend his actions throughout his two terms in office. 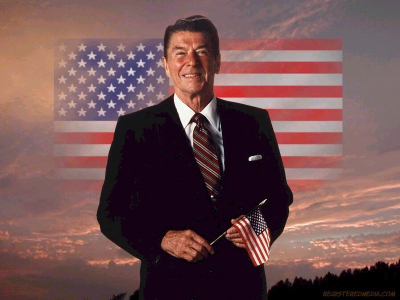 The Reagan Doctrine proclaimed overt and unashamed American support for anti- Communist revolution. The grounds were justice, necessity and democratic tradition. Providing aid to those groups was not only morally just but geopolitically sound. When did the traditions of Doctrines start? 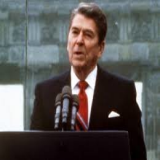 The Reagan Doctrine followed in the tradition of U.S. presidents developing foreign policy "doctrines", which were designed to reflect the challenges facing international relations of the times, and proposed foreign policy solutions to them. The practice began with the Monroe Doctrine of President James Monroe in 1823, and continued with the Roosevelt Corollary, sometimes called the Roosevelt Doctrine, introduced by Theodore Roosevelt in 1904. The Monroe Doctrine stated that further efforts by European nations to take control of any independent state in North or South America would be viewed as "the manifestation of an unfriendly disposition toward the United States." The Roosevelt corollary states that the United States will intervene in conflicts between European countries and Latin American countries to enforce legitimate claims of the European powers, rather than having the Europeans press their claims directly. The current post–World War II tradition of Presidential doctrines started with the 1947 Truman Doctrine, under which the United States provided support to the governments of Greece and Turkey as part of a Cold War strategy to keep those two nations out of the Soviet sphere of influence. The Eisenhower Doctrine, the Kennedy Doctrine, the Johnson Doctrine, the Nixon Doctrine, and the Carter Doctrine, all of which defined the foreign policy approaches of these respective U.S. presidents on some of the largest global challenges of their administrations, followed the Truman Doctrine. 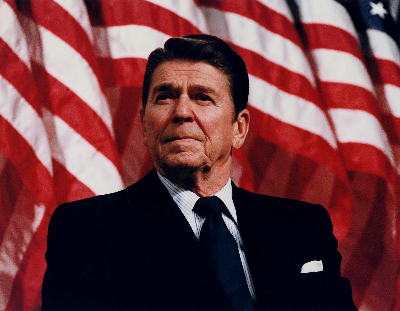 The Reagan Doctrine was orchestrated and implemented by the United States under the Reagan Administration to overwhelm the global influence of the Soviet Union in an attempt to end the Cold War.The doctrine was the centerpiece of United States foreign policy from the early 1980s until the end of the Cold War in 1991. Where were the perceived successes? In 1989, the Soviet ended its occupation of Afghanistan, with Soviet leader Mikhail Gorbachev famously calling their war with US-backed Mujahideen a bleeding wound. In Nicaragua, the war came to an end with the loss of rebel Sandinista fighters in the general elections in 1990. The Reagan regime even engineered the end of Soviet and Vietnamese occupation of Cambodia, by providing limited aid to Son Sann-led Khmer People's National Liberation Front (KPNLF). From the US perspective, it pitched the US as a global power. It was not the first time that the US had contemplated taking on the Soviet Union directly, but it was never pursued, as policy makers feared that it would escalate the Cold War. There was a possibility of nuclear conflict as well. The stupendous success of the Reagan Doctrine allayed these and other such fears, and put the United States in command. 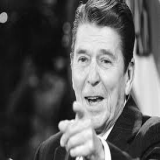 Who was Reagan trying to counter with his doctrine? Reagan Doctrine re-iterated that the United States has the right to intervene if any nation in the region pursues policies - or has a form of government - that the United States alone deems to be threatening to the common interest. 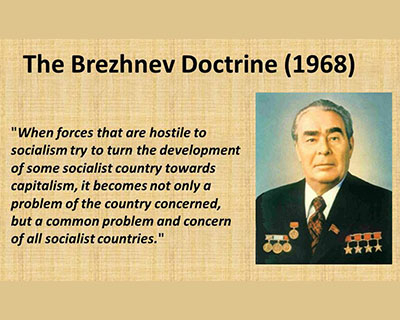 Reagan’s approach served as a counterweight to the “Brezhnev Doctrine,” put forward by Leonid Brezhnev, the Soviet leader, who had died in 1982. It held that communist gains, once realized, could not be rolled back. Reagan’s doctrine as a counter to this. How detrimental was the doctrine? The Reagan Doctrine continued into the administration of Reagan's successor, George H. W. Bush, who won the U.S. presidency in November 1988. Bush's Presidency featured the final years of the Cold War and the Gulf War, but the Reagan Doctrine soon faded from U.S. policy as the Cold War ended. Although the degree of Soviet-bloc interference, the ideological composition of the rebel movements, the danger of a clash with the USSR, and the risk of entanglement all represent important considerations, the principal factor governing U.S. foreign policy with respect to the five rebel movements should be U.S. security. Assessed in this light, there is only one arena for which a respectable case can be made for providing material aid – Nicaragua – and even that is less than compelling. The other four conflicts are essentially irrelevant to the legitimate security concerns of the United States. 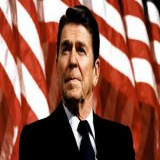 The Reagan Doctrine was subjected to severe criticism when the Iran-Contra affair revealed how the US had gone out of its way to reach its goal during the Reagan presidency, with some people even claiming that the president knew everything all along. It didn't just end there though. By providing arms to less-known militants ― some of which had dubious human rights records ― the American Administration had only strengthened them. It is difficult to see how the Reagan Doctrine would bolster U.S. security; indeed, the opposite result is far more likely. Most Third World struggles take place in arenas and involve issues far removed from legitimate American security needs. U.S. involvement in such conflicts expands the republic’s already overextended commitments without achieving any significant prospective gains. Since the September 11 attacks, some Reagan Doctrine critics have argued that, by facilitating the transfer of large amounts of weapons to various areas of the world and by training military leaders in these regions, the Reagan Doctrine actually contributed to "blowback" by strengthening some political and military movements that ultimately developed hostility toward the United States, such as al-Qaeda in Afghanistan. The prospects for the Reagan Doctrine promoting democracy in the Third World are no more promising; again, an intrusive U.S. military policy would produce the opposite result. 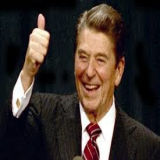 Note: The Iran–Contra affair was a political scandal in the United States that occurred during the second term of the Reagan Administration. Senior administration officials secretly facilitated the sale of arms to Iran, which was the subject of an arms embargo. They hoped thereby to secure the release of several U.S. hostages and to fund the Contras in Nicaragua. Under the Boland Amendment, further funding of the Contras by the government had been prohibited by Congress.